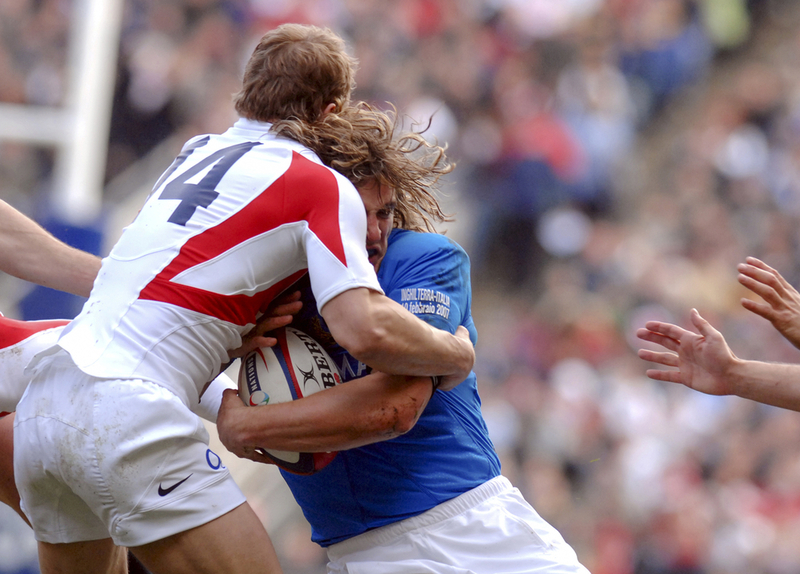 Concussions in Sports - Does the Law Fail To Protect Sportsmen? The Welsh Rugby Union (WRU) have came under fire for failing to substitute winger George North in the opening game of the Six Nations when he was knocked out following a clash of heads. Despite slow motion replays and 82,000 people gasping as North fell to the floor unconscious, the Welsh medical team claimed that none of their staff had seen the winger sustaining the blow - leading to accusations of negligence. Earlier on in the match, the Northampton and Welsh winger had received treatment for a head injury for over eight minutes, with a Welsh medic admitting after the match that North should have been substituted following the second blow. The WRU stated that they were only made aware of North's situation after the match and have had the player constantly monitored since, with North showing no sign of concussion. Although he passed the test, North was still left out of the side that was victorious over Scotland on Sunday. A concussion is when someone is left temporarily unconscious or suffering head pains and confusion after a blow to the head. It is one of the most common injuries seen in the UK and can lead to serious injury and future illnesses if untreated. Concussions can't be detected on X-rays or scans making attempts to prevent them difficult, and are common in the world of sport. Toulouse player Florian Fritz sustained a serious head injury whilst playing against Racing Metro. Despite TV cameras showing he was visibly concussed he was permitted and encouraged to continue. The IRB requested an investigation into the failures that led to Fritz continuing to play. Such examples show that concussion is often treated with the seriousness it deserves, but too often in the world of sport, players are forced to continue on after suffering from a blow to the head. Indeed the "North incident" is not the first time that the world of sport has been rocked by controversy regarding serious head injuries. In 2013 Tottenham Hotspur were deemed "irresponsible" by a leading brain injury charity after they allowed goalkeeper Hugo Lloris to play on after he was knocked out on the pitch. Despite a lengthy delay in play, the game finished with Lloris on the pitch. The shot stopper was knocked out yet played on following treatment. Uruguay's Alvaro Pereira and Argentina Javier Mascherano were both involved in nasty collisions in 2014's World Cup, and as a result of the high profile cases the Premier League introduced a new rule which saw the club doctor have the final decision. The new rules state "When a serious head injury is suffered on the pitch (in matches or training) that the ruling of the doctor/medical practitioner is final." This years Superbowl saw Julian Edelman play through a concussion following a helmet-to-helmet tackle. Following the hit Edelman managed a run a further ten yards before falling over his own feet. Upon getting up the receiver appeared dazed, yet he continued to play on throughout the game, later passing a concussion test following the Superbowl. 90% of concussions don't result in the person losing consciousness making such injuries in sport, and in general, difficult to detect. Although such injuries are hard to detect, teams and coaching staff still have a duty of care to their players. If they fail to protect them or force them to play, their injury is a result of negligence. Statistics show that the amount of reported concussions doubled between 2002 and 2012. Are the high profile cases in sport raising awareness? Head injuries are one of the most common injury types in the UK and can lead to irreversible damage such as brain damage, memory loss, permanent disability or even death. Due to the nature of a head injury, compensation is usually higher due to the potential damage around a vital organ. If you have suffered a head injury as a result of negligence or a failure in duty of care, you may be entitled to damages for your injury. We have numerous free legal guides about making a personal injury claim - if you have suffered a head injury or concussion at work, or whilst playing a sport.